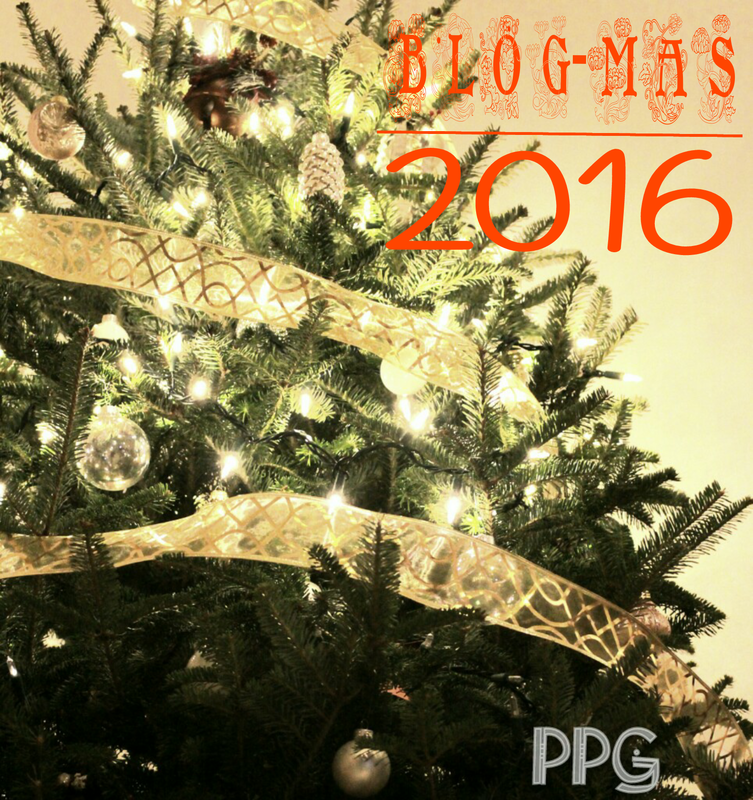 Welcome to Day 8 of Blogmas and welcome back to DIYS . This is one in a series of edible DIY gifts , if that’s your thing. As with crafty DIYS , sometimes baking your own gifts can be more costly and definitely time consuming BUT if you are savvy and do it in bulk it can turn out more budget friendly and of course it is made with loads of love. 1) Chocolate – I chose Cadbury milk chocolate . You can use chocolate chips or candy melts as well, I personally find candy melts a bit too sweet in large amounts hence my choice of regular eating chocolate. 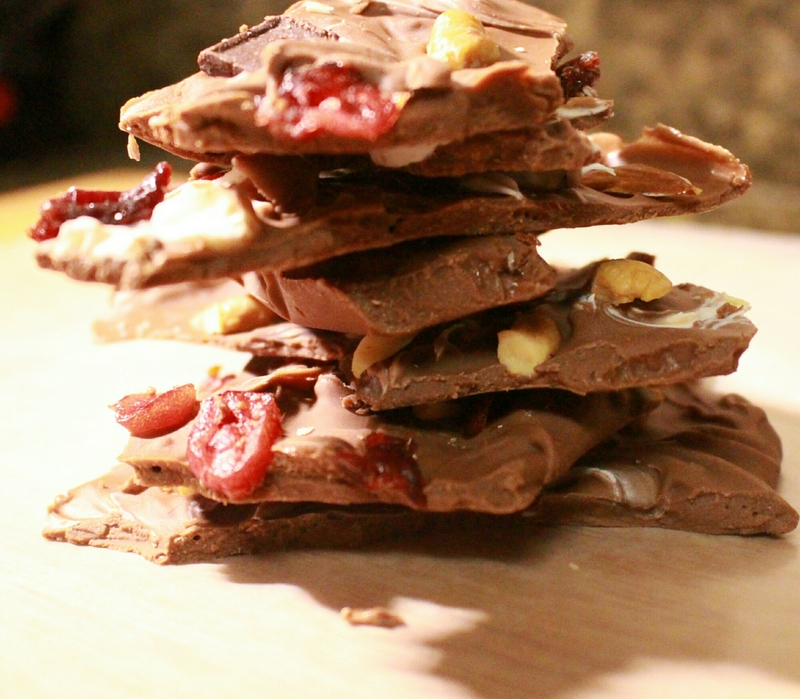 2) More chocolate – To compliment your main chocolate . I chose white candy melts but you can use any colour or type of chocolate you wish. I think peanut butter chips(like chocolate chips but out of peanut butter) would go well with this. 3) Stuff– What I mean is, miscellaneous morsels such as dried fruit, nuts, candies etc. 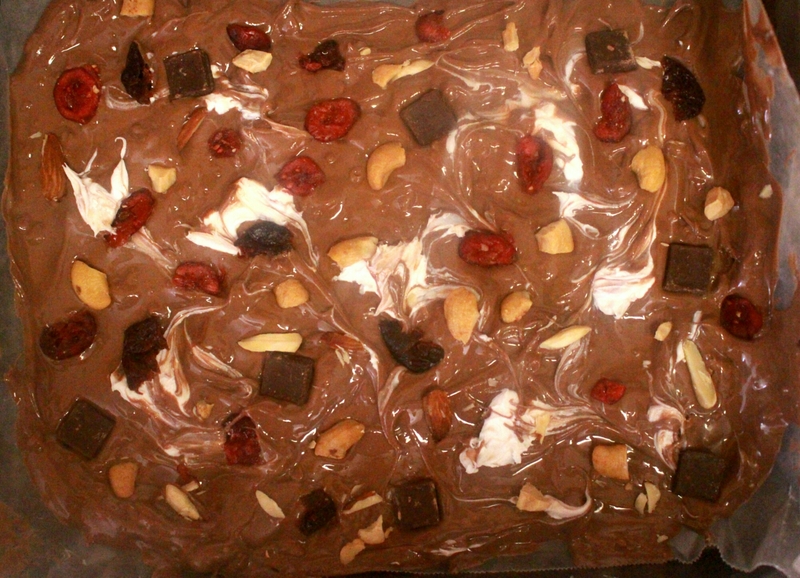 I used a trail mix I had containing dried cranberries, salted cashews, almonds and dark chocolate chips. 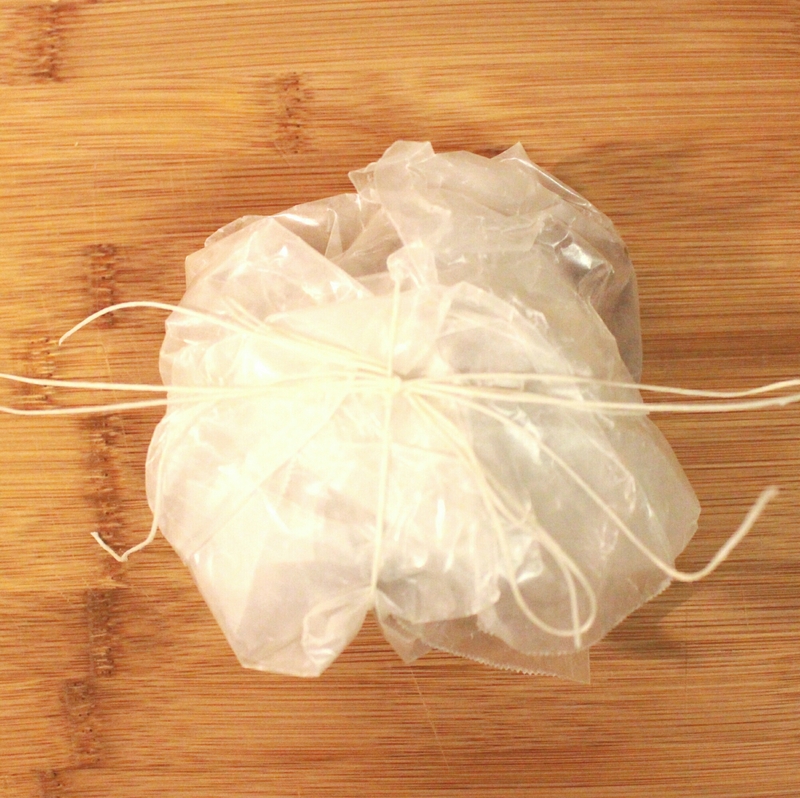 4) Wax/Parchment paper– To line the container you use. 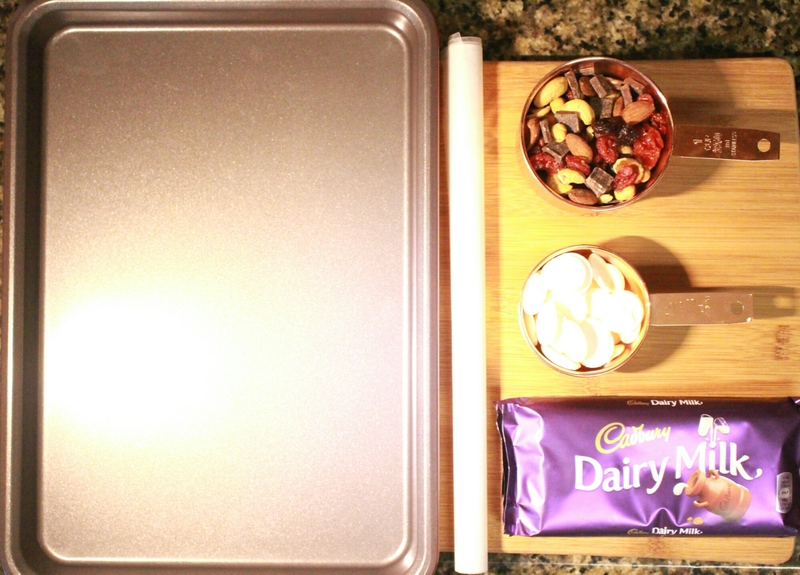 5) Pan/Cookie Sheet– Alternately you can use a silicone mat. Line your sheet ahead of time and clear some space in the refrigerator . 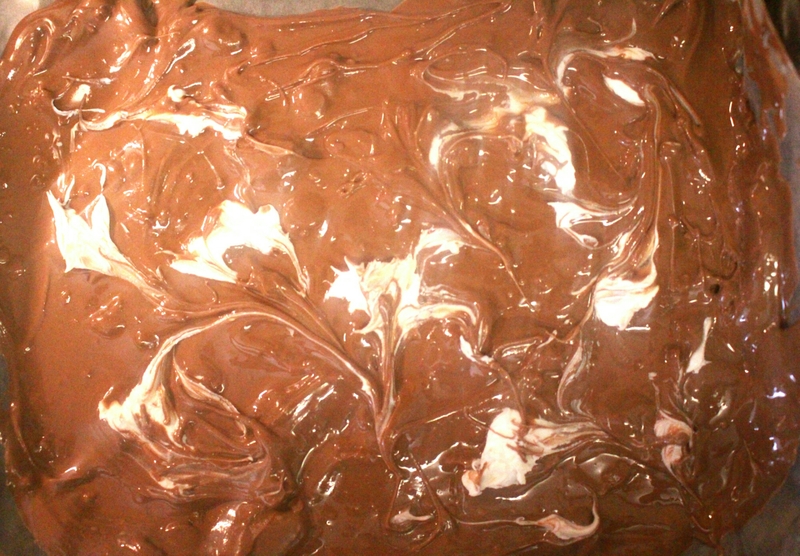 2) Spread milk chocolate onto sheet. 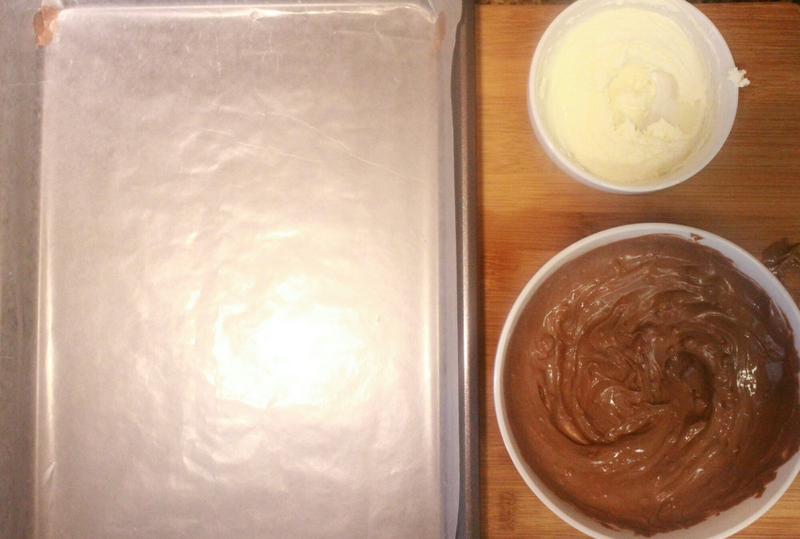 3) Add white chocolate (or other colours ) in marble fashion . 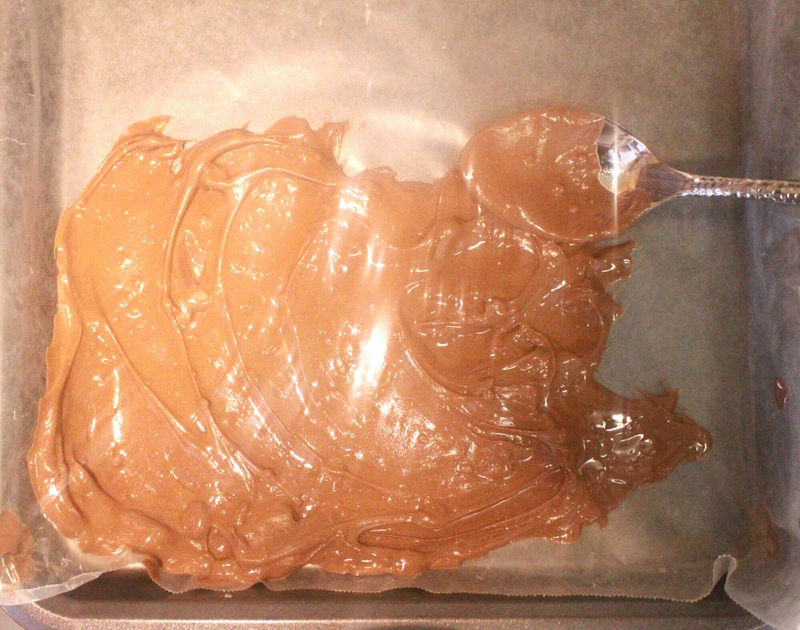 4) Press in additions (nuts, candies etc) throughout chocolate . 5) Refrigerate and let harden-I left mine overnight . 6) Using hands or long sharp knife, break into shards. 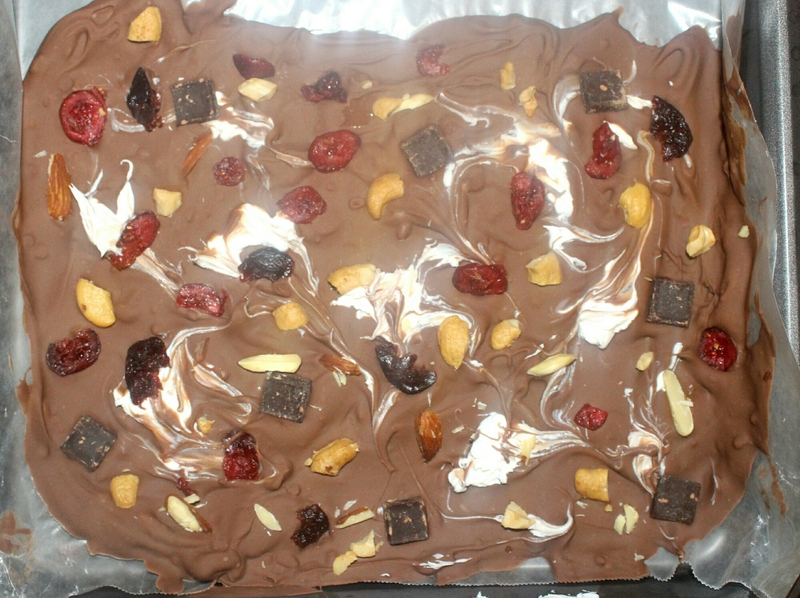 The bark tasted delicious , the contrast of the very sweet cranberries with the salty cashews and the mild cocoa flavour from the milk chocolate is a winning combo. This is a cute gift. It’s great as a stocking stuffer or for a large group of persons e.g coworkers. The cost varies depending on the chocolate you use and what kind of toppings you add but no doubt it can be a fairly economical gift. Be sure to try this one out and have an awesome day! Welcome to day 2. Day 1 gave some ideas of gifts to give and today is the same except this is a DIY gift; a salt scrub. Salt and sugar scrubs are great, they are good for exfoliating and polishing the skin and the oils help moisturise. I did a previous blog post on sugar body and lip scrubs but I wanted to try a salt scrub to compare. 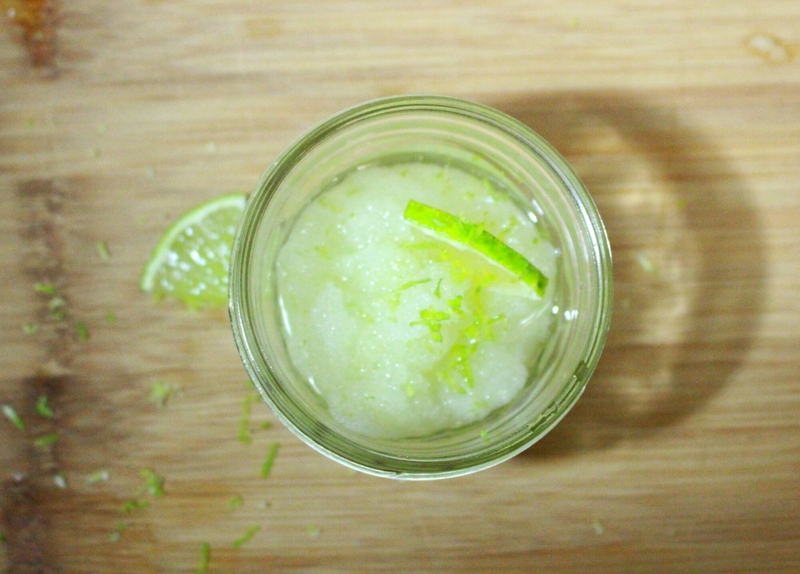 The salt scrub I am making is a simple lime scrub, but of course you can add whatever fragrance and oils you wish. Some common ones I’ve seen include coconut and avocado. Just ensure they are skin safe. 1) 1 cup of Salt- I chose table salt because it’s what I had in my kitchen and I wanted a fine grain.You can also use sea salt which will have a more course texture. 2) 1/2 cup Coconut Oil- Again, chosen because I had it but feel free to use your preferred oil. 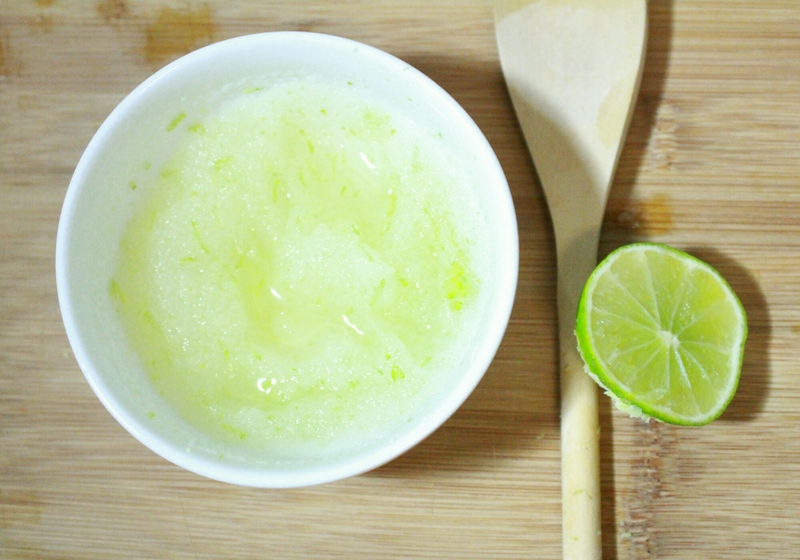 3) Lime- For this I used both juice and zest. 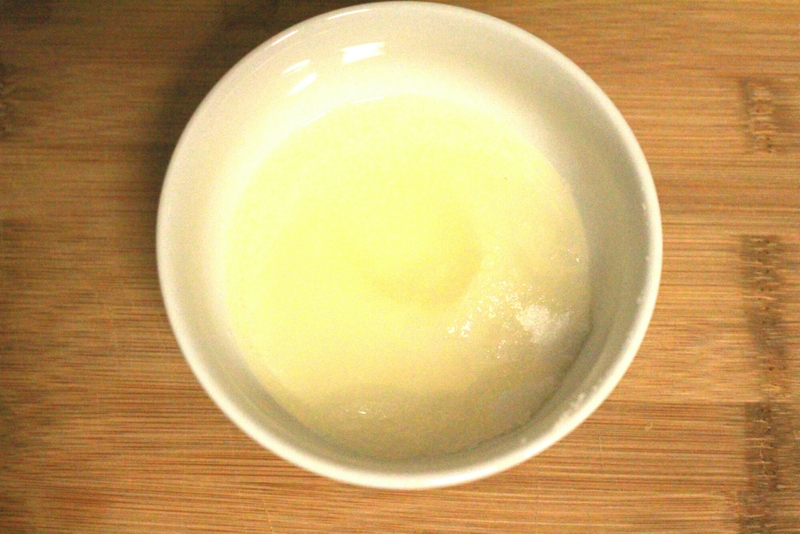 1) Pour 1 cup salt into a bowl and add oil slowly, stirring until it reaches desired consistency. 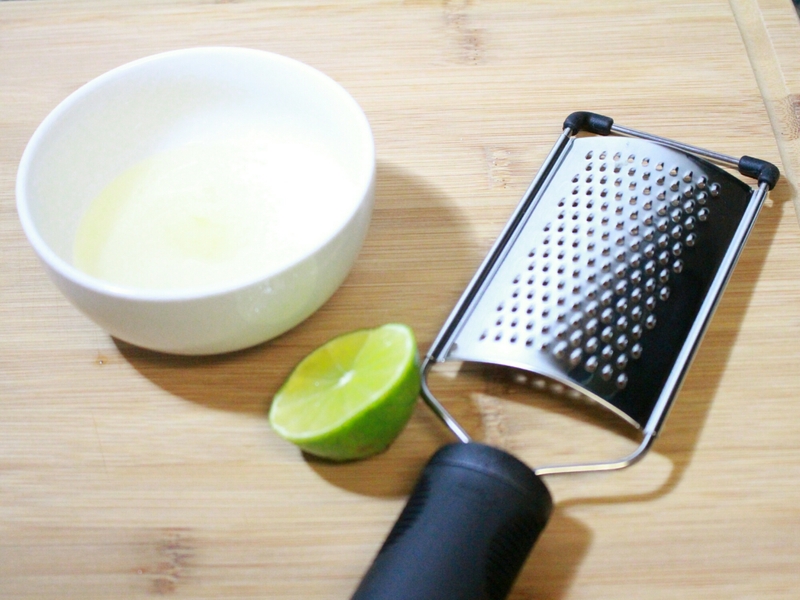 2) Squeeze a slice of lime, I added about 1/4 tsp of juice as I didn’t want it too acidic. 3) Zest lime to create flecks within scrub. 5)Place in jar and gift! So upon making this, I of course had to test it out. It feels like bathing in a margarita (which for me is a good thing). I love that the salt grains are much finer than even granulated sugar and it feels more like polishing than scrubbing. Because I made it more liqiud, there was more oil residue which felt good over my elbows and other dry areas- if you don’t like the residue add less oil. 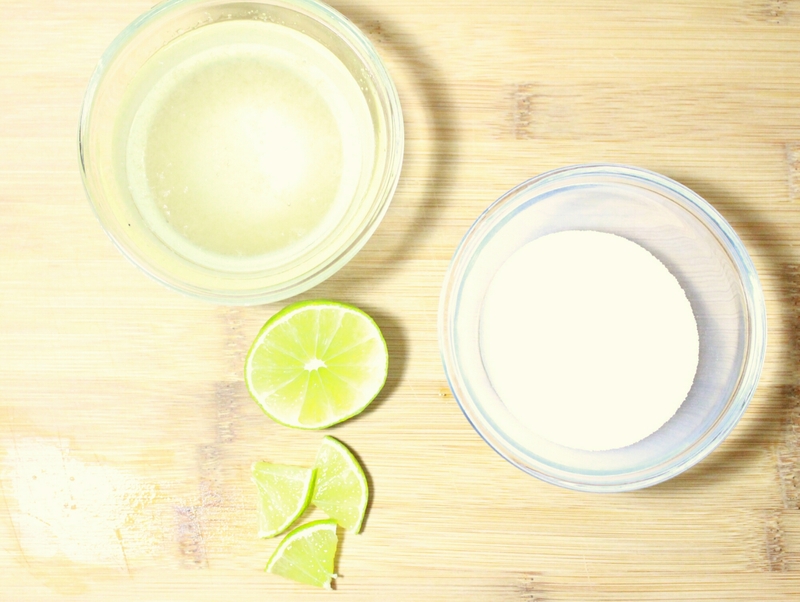 The lime adds a nice fragrance but you can use whatever you wish. So let’s talk about cost. This is the problem with many DIY projects, by the time you buy all that you need, you could as well have gone in LUSH and bought a scrub there. For me, a worthwhile DIY should be cost effective or easier and of course, be more personal. This scrub costs less than $1 in ingredients and the jar costs approximately $1 bringing the total cost to under $2 for a personal gift. It doesn’t get much better than that. Be sure to try this out for a friend who loves hand made items or loves scrubs and have an awesome day!